For some reason, once a number has been given names like “Golden Ratio” and “Divine Ratio”, millions of otherwise sane, rational human beings seem willing to accept claims based on no evidence whatsoever, and cling to those beliefs in the face of a steady barrage of contrary evidence going back to 1992, when the University of Maine mathematician George Markovsky published a seventeen- page paper titled "Misconceptions about the Golden Ratio" in the MAA’s College Mathematics Journal, Vol. 23, No. 1 (Jan. 1992), pp. 2-19. In 2003, mathematician, astronomer, and bestselling author Mario Livio weighed in with still more evidence in his excellent book The Golden Ratio: The Story ofPHI, the World's Most Astonishing Number. 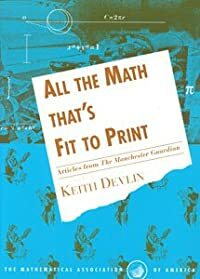 I first entered the fray with a Devlin’s Angle post in June 2004 titled "Good Stories Pity They’re Not True" [the MAA archive is not currently accessible], and then again in May 2007 with "The Myth That Will Not Go Away" [ditto]. Those two posts gave rise to a number of articles in which I was quoted, one of the most recent being "The Golden Ration: Design’s Biggest Myth," by John Brownlee, which appeared in Fast Company Design on April 13, 2015. Needless to say, having been at the golden ratio debunking game for many years now, I have learned to expect I’ll have to field questions about it. 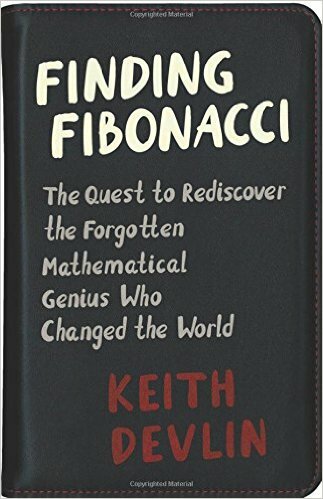 Even in a media interview about a book that, not only flatly refutes all the fanciful stuff, but lays out the history showing that the medieval mathematician known today as Fibonacci left no evidence he had the slightest interest in the sequence now named after him, nor had any idea it had several cute properties. Rather, he simply included among the hundreds of arithmetic problems in his seminal book Liber abbaci, published in 1202, an ancient one about a fictitious rabbit population, the solution of which is that sequence. What I have always found intriguing is the question, how did this urban legend begin? It turns out to be a relatively recent phenomenon. 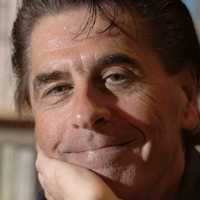 The culprit is a German psychologist and author called Adolf Zeising. In 1855, he published a book titled: A New Theory of the proportions of the human body, developed from a basic morphological law which stayed hitherto unknown, and which permeates the whole nature and art, accompanied by a complete summary of the prevailing systems. This book, which today would likely be classified as “New Age,” is where the claim first appears that the proportions of the human body are based on the Golden Ratio. For example, taking the height from a person's naval to their toes and dividing it by the person's total height yields the Golden Ratio. So, he claims, does dividing height of the face by its width. From here Zeising leaped to make a connection between these human-centered proportions and ancient and Renaissance architecture. Not such an unreasonable jump, perhaps, but it was, and is pure speculation. After Zeising, the Golden Ratio Thing just took off. Enough! I can’t bring myself to continue. I need a stiff drink. For more on Zeising and the whole wretched story he initiated, see the article by writer Julia Calderone in business Insider, October 5, 2015, "The one formula that's supposed to 'prove beauty' is fundamentally wrong." See also the blogpost on Zeising on the blog misfits’ architecture, which presents an array of some of the battiest claims about the Golden Ratio.